Since completing its move to the city of Monrovia in May 2016, the Oak Crest Institute of Science has been making its presence known within the local science community and beyond. The May-June 2017 edition of the Monrovia Insiders magazine, a publication of the Monrovia Chamber of Commerce, features a two-page article on Oak Crest highlighting the organization’s history, vision and mission as an innovative biomedical and environmental research lab and education center. 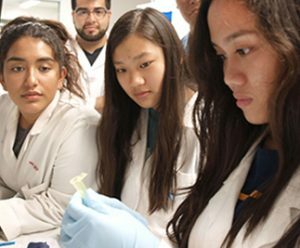 Click here to read more about Oak Crest’s cutting-edge research and the growing number of educational and internship opportunities available to students interested in learning more about careers in science.